Brother Jesse Blog: What Would Elijah Do? Minister Louis Farrakhan Warns Obama & Government regarding NDAA Act! What Would Elijah Do? Minister Louis Farrakhan Warns Obama & Government regarding NDAA Act! In his January 9 appearance on The Cliff Kelley Show on Chicago's WVON radio station, The Honorable Minister Louis Farrakhan once again didn't shy away from speaking truth to power. The two hour interview ended with The Minister taking callers and one woman asked about his thoughts on the the National Defense Authorization Act (NDAA) signed by President Barack Obama. “That act signed into law by our president is an act that is destined to stop those of us who speak truth to power,” said Minister Farrakhan, who just returned from a Caribbean tour that included Jamaica, Haiti and St. Kitts. He went further into warning the president and the government on what would happen if they decide to come after him. Watch the clip below to hear his statement. 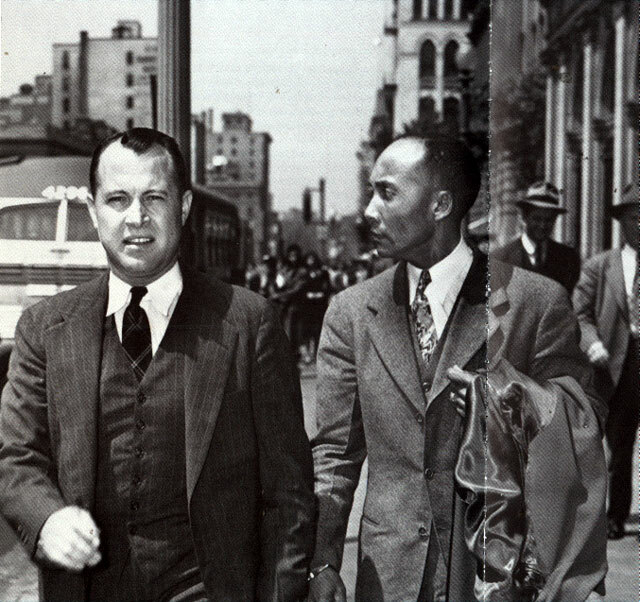 His teacher, The Most Honorable Elijah Muhammad, was arrested in 1942 during a time when America was going to war. They wanted to get him off the streets because of the truth he was spreading to the masses. In his book "Message to the Blackman" on page 179, The Hon. Elijah Muhammad writes "The next time I was arrested was May 8, 1942, in Washington, D.C., by the F.B.I. for not registering for the draft. When the call was made for all males between 18 and 44, I refused (NOT EVADING) on the grounds that, first, I was a Muslim and would not take part in war and especially not on the side with the infidels. Second, I was 45 years of age and was NOT according to the law required to register." Will they have to get Minister Farrakhan and others off the street and the Internet if they go to war with Iran? With the use of books, DVDs, CDs, webcasts, Twitter, Facebook, The Final Call Newspaper, YouTube and more, Minister Farrakhan's message continues to spread. Let's see what America will do with him (us) as he continues to fearlessly speak truth. It's written in the volume of the scriptures. This is chess, not checkers and as The Minister has said, God is the Master of the entire "chessboard." What move will we make? Will we stand up or be cowards? Time will tell.